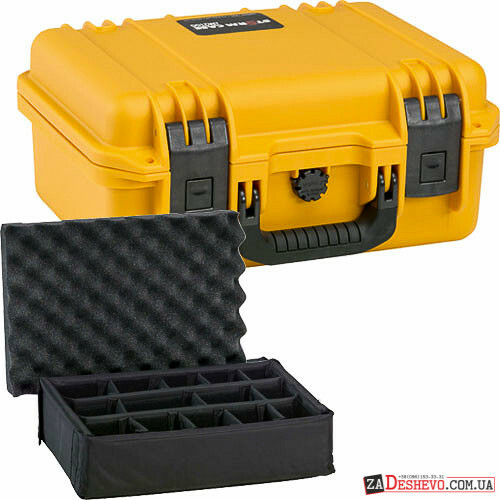 The Pelican iM2200 Storm Case with Padded Dividers (Black) is an injection-molded case made of HPX high performance resin, that is virtually unbreakable, dent-resistant and shatter-resistant. It is tough, rugged, lightweight, airtight and watertight. 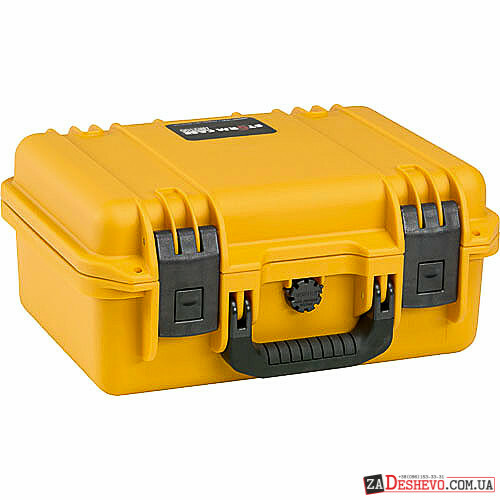 There is a permanently attached Vortex valve that automatically adjusts air pressure without letting in water, and won't unscrew from the case.Press & Pull latches open with the push of a button, yet stay closed securely under impact or stress. 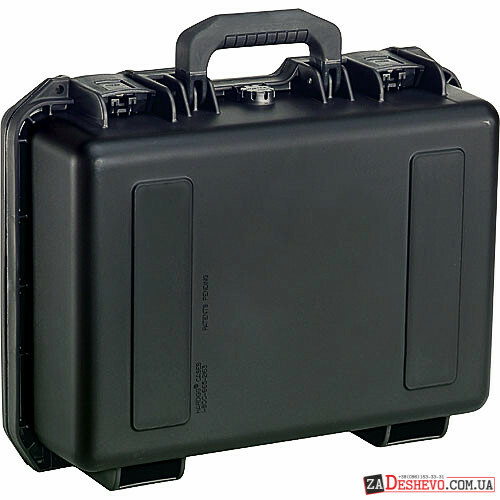 The case has unbreakable molded-in hasps that allow the addition of standard size padlocks. It has hinges with integrated feet that hold fast under impact, and create a flat surface for upright stability. 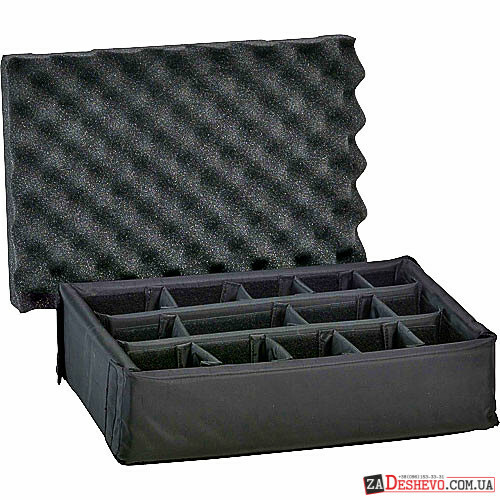 It is carried by a double-layered, soft-grip, solid-core handle that provides strong, durable comfort. 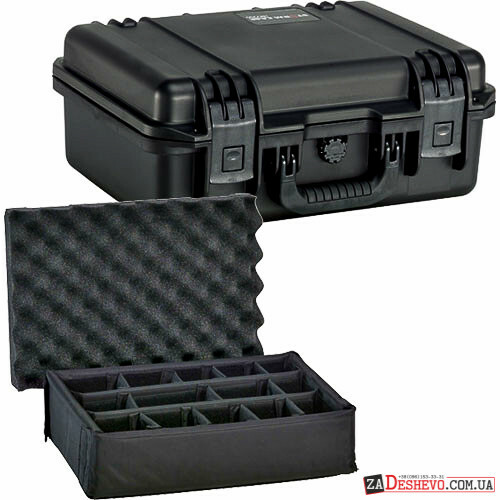 Box Dimensions (LxWxH) 16.9 x 13.1 x 7.0"